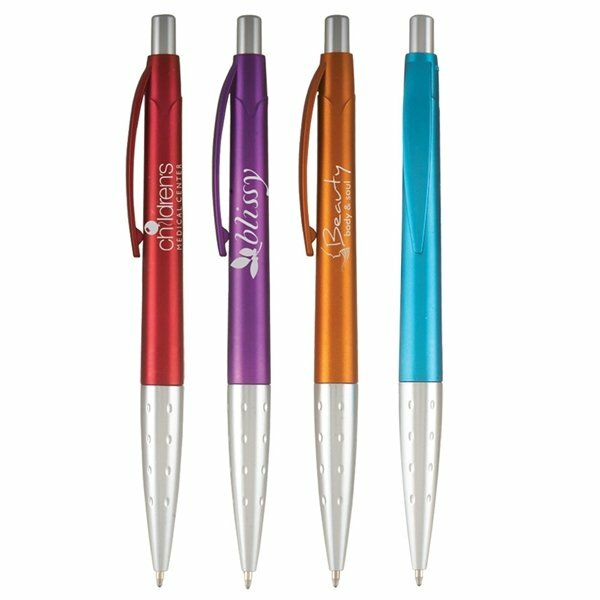 Watch your brand take flight with the help of the Aero Pen! 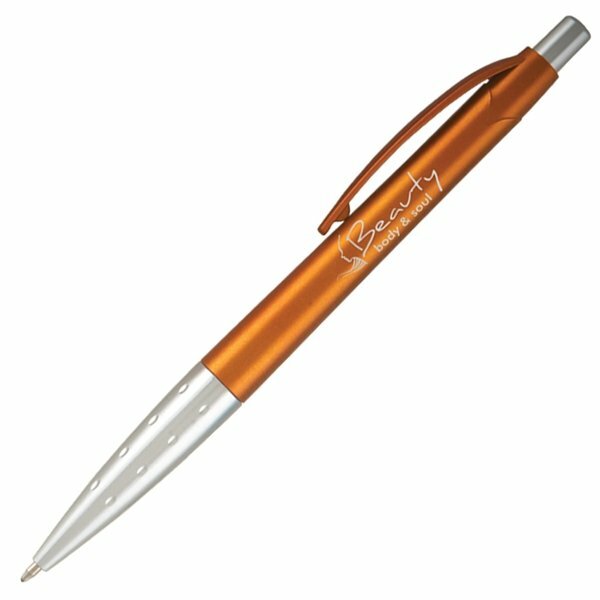 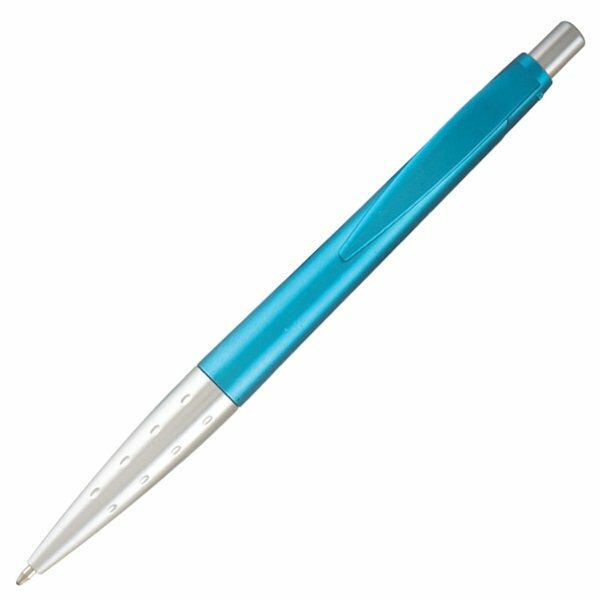 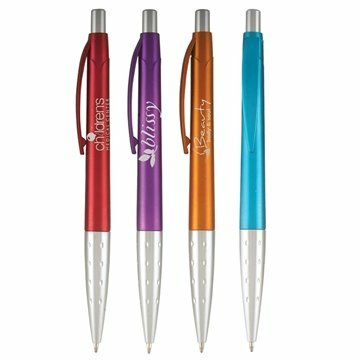 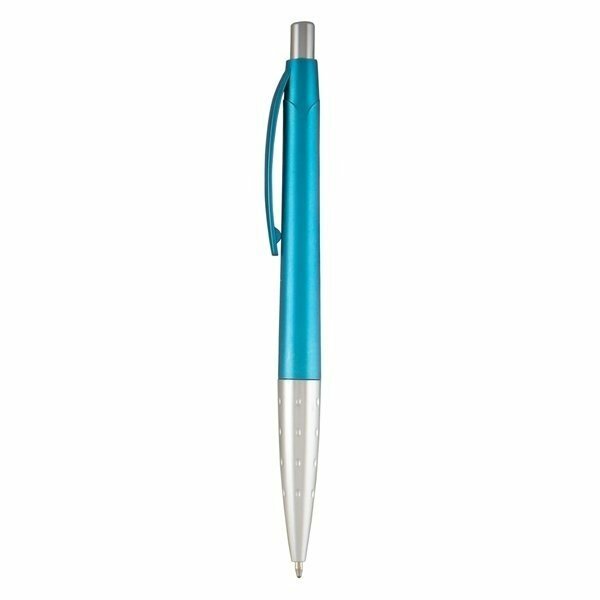 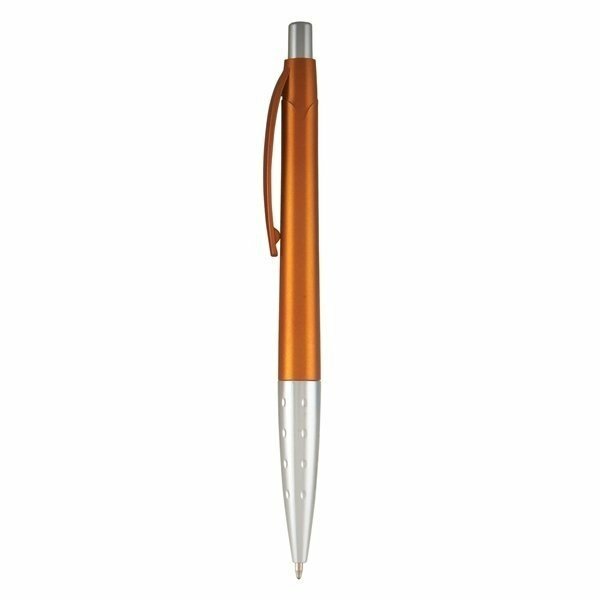 This plastic pen is a sleek styled medium ballpoint covered in five trendy metallic colors and silver accents. It comes with black ink and you can add a silkscreened imprint of your company name, logo and advertising message to make sure that your brand is represented exactly how you imagine. Stand out from the crowd by soaring high with a great marketing tool!